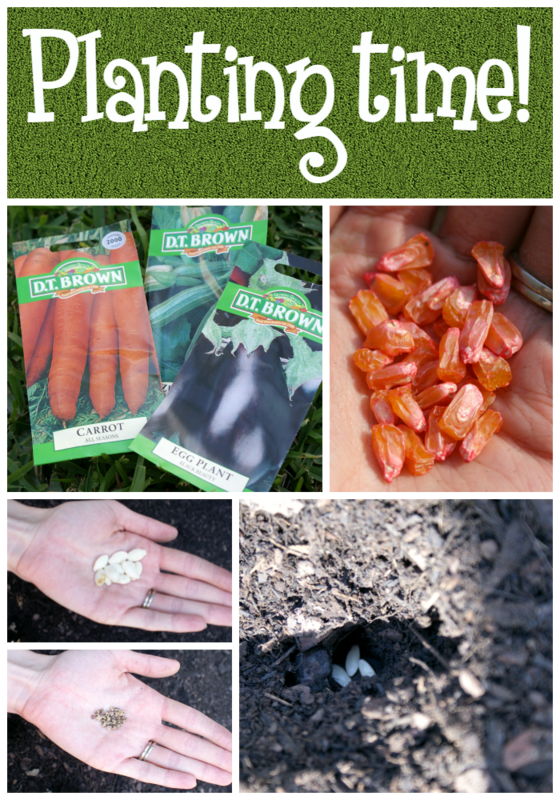 Southern In Law: How to Make Your Own Raised Veggie Patch! 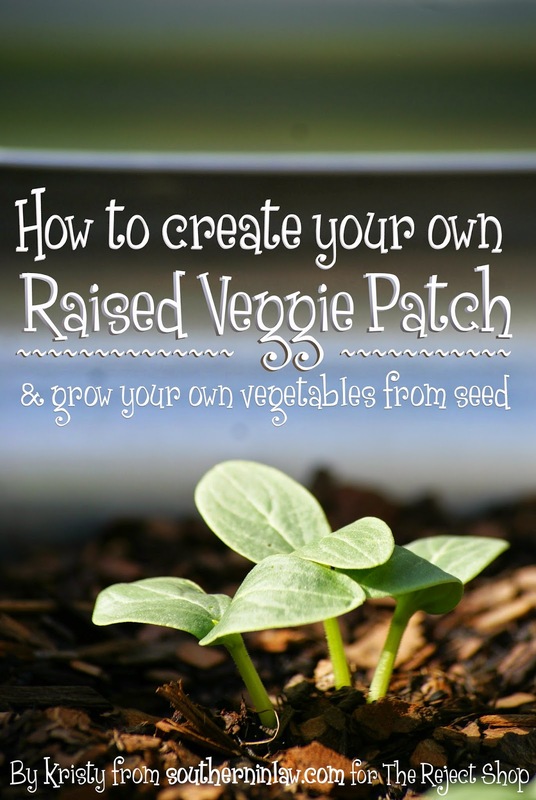 How to Make Your Own Raised Veggie Patch! I loveeeeeee vegetables. Like, seriously love them - to the point where I have to limit myself or I'd probably just eat grilled zucchini and crunchy carrot sticks all day long. So naturally, I have always wanted to grow my own veggies! We tried once, however, our veggie patch was in the wrong place and way too small and everything was eaten by the possums. This time, however, I had a plan - and I did my research. So, we started Operation Veggie Patch - and now we have our own little raised Vegetable Garden! But let me show you how we made it! Now, you can have all the ideas in the world - but before you get started, you need to make sure you have everything! 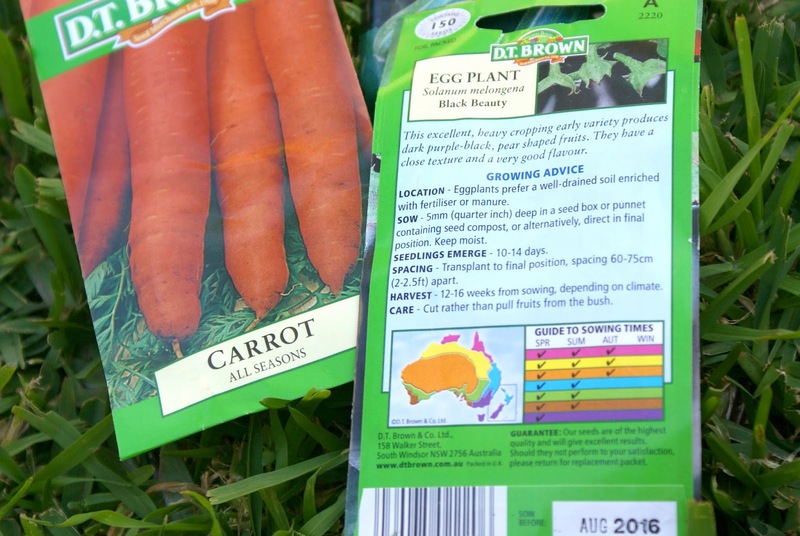 Vegetable seeds ($1.50 per packet at The Reject Shop and you'll have lots of seeds leftover to replant at a later date! )Our Tip: Be sure to read each packet to ensure you're planting your seeds at the optimum time. 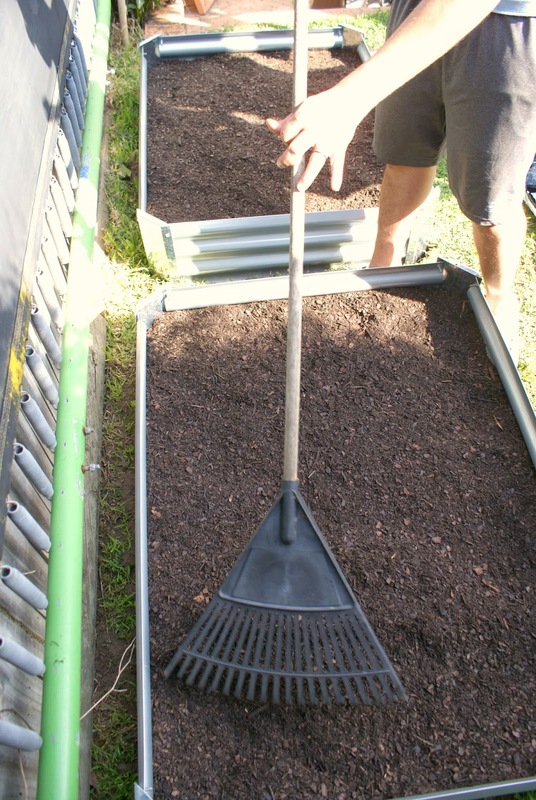 A shovel/garden hoe if you're placing your garden bed on top of grass as you'll want to dig up the grass below so that your veggies have room to grow! A pair or two of helping hands! The first thing you'll want to do is put together your garden beds. The $60 Raised Garden Bed from The Reject Shop comes with all of the screws and bits and pieces you need to put it together - you'll just need a screwdriver (to tighten the bolts) and a pair of helping hands (though you could do it on your own, it's just easier to have one person holding and one person tightening). Jesse and I put together both garden beds together in under 10 minutes. 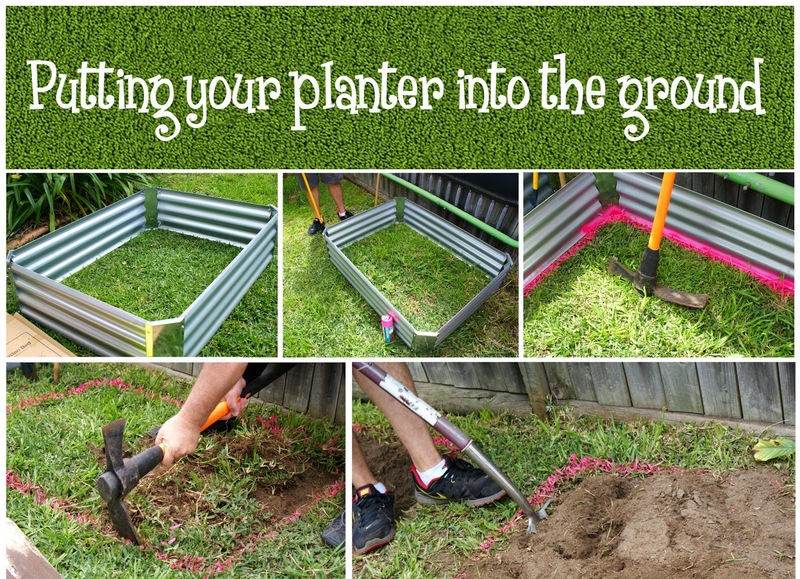 Now, once you've finished building your planter - you'll want to decide where it's going and put it in the ground! We had some fluro marking spray paint at home which we used to mark out how much of the grass we needed to dig out, however, you can also mark it up just by making a line with your shovel/garden hoe. Once you've marked out how big your garden bed is going to be, it's time to get digging! We dug out all of the grass, checked to see if the garden bed fit, dug out any remaining grass and then took all of the grass out of the hole. 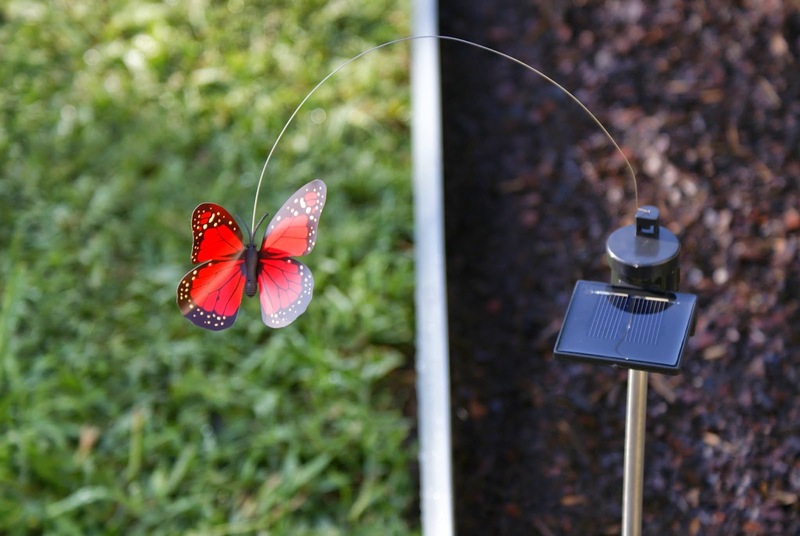 Once you've got all of the grass out, you'll want to use a garden fork to aerate the soil. Why? 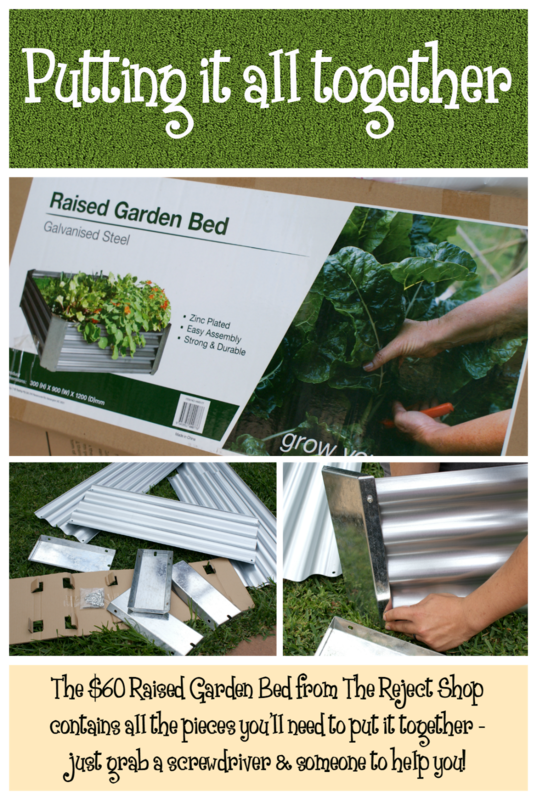 This ensures your vegetables have room to grow. It's especially important if you want to grow root vegetables like carrots as they'll only grow to tiny little stumps if the soil is too compacted. You'll want your garden bed to be sitting on the soil completely, rather than on top of the grass, so that it's even and the grass doesn't grow straight through it! Once your garden bed is in and level, it's time to fill it! We filled it first with soil until it was 1/3 full, then added a layer of dynamic lifter (aka: chicken manure), added some more soil and then added a layer of blood and bone ($3 a bag at The Reject Shop) and then filled the garden bed with soil until it was about 2 inches from the top. Once your garden beds are full, level them off so you're ready to plant! And then, it's time to plant!!!! My favourite part! The Reject Shop make it really easy as every packet of seeds has instructions on how to plant them, where to plant them and when to plant them. We decided to plant; Corn, Carrots, Zucchini, Eggplants, Beetroot and Cucumber in our garden beds. 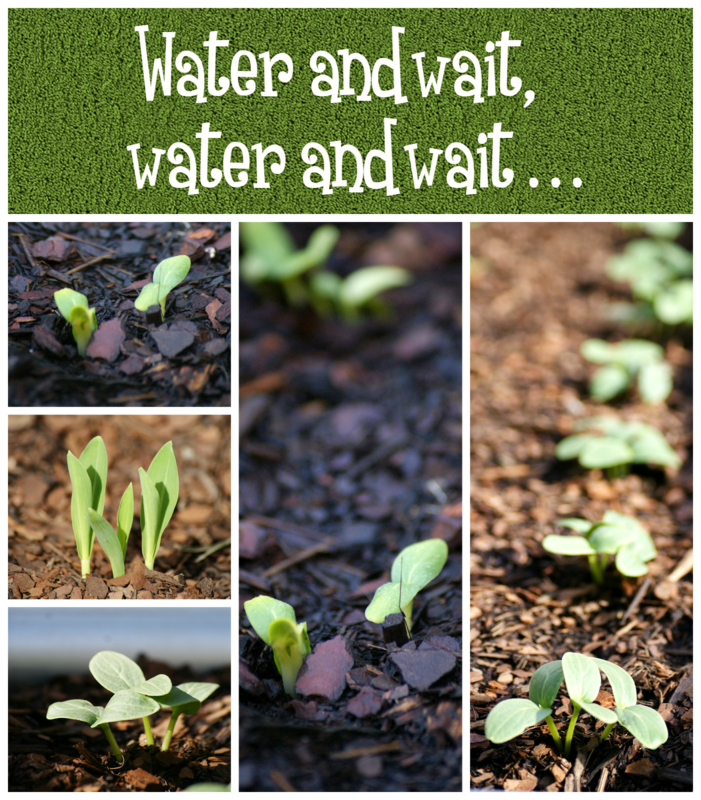 Then all you have to do is water - and wait! And repeat again and again and before you know it, you'll have little babies popping through the soil! Our seedlings started popping up within just three days - the only one left to pop up now is the eggplant! But tell me, have you ever grown your own vegetables? If so, which were the most successful? If not, what vegetables would you grow if you had your own veggie patch? These were delicous! My husband never likes it when I try to make 'healthy' recipes but he enjoyed these! I'll be making them again soon. I grow my own lettuces, tomatoes, strawberries, spring onions and leeks each year. I'd love a bigger vegetable patch though so I could grow absolutely everything we eat! Oh no! I'm so sorry to hear this Theresa. It may have been the coconut milk you used - did you use the same brand each time? Different canned coconuts use different percentages of coconut milk - cheaper brands usually use less coconut milk and more water/additives etc. the coconut milk we used here was a premium coconut milk - we tried two versions, once using the light coconut milk (51.5% coconut milk, 47.5% water! vegetable gum) and once using the full fat coconut milk (82% coconut milk 18% water) and both worked perfectly and we've made them over and over again since. I usually hate gardening but you make it look so fun! 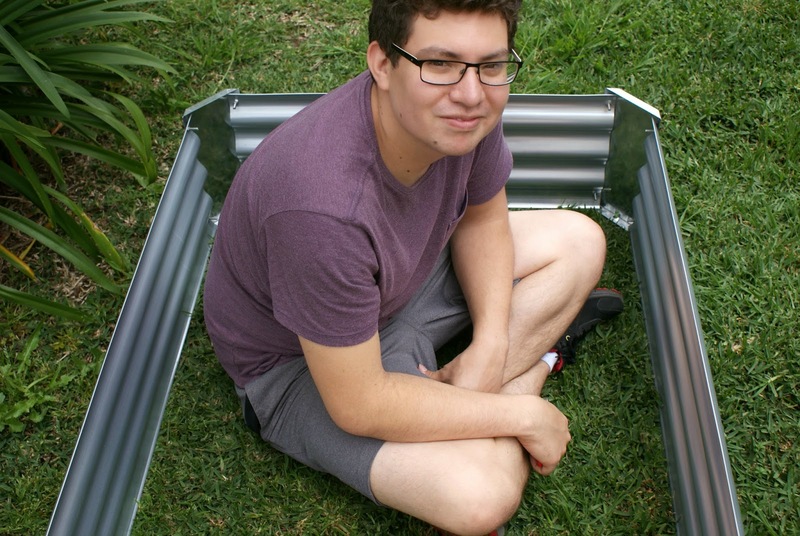 There is a reject shop near our house so I might have to look for this garden bed as it would be perfect for our backyard! The kids would love it! But seriously--I love how handy you guys are. I really love veggies (allllmost as much as sweets, perhaps?) and really want to do my own cool veggie growing thang. But but....it's too laborious and intimidating. However, your pictures and encouragement on that are making me think otherwise. Maybe someday when we get our own garden patch or something? I'll take it slowwwwly. At least I'm intrigued for now, it's a start! Haha, sounds like a plan! ;) But no - you'd have to bring Selah because she's way too cute not to see! We like to pretend that we're handy, but really we kind of wing it ;) We spent an hour laying out on the grass thinking about planting the veggie seeds before we did it because we didn't want to plant them wrong, haha. I'm hoping that we can grow something edible - so far it looks promising, but it's fun even watching them grow! Yay! I am SO glad you guys loved them - this is Jesse's favourite pancake recipe! I will just keep trying :-) I used two different brands. Next time I will buy all the brands I can find at the store and try again! This has to work :-) I really want to knoa how it tastes like! One more thing, maybe a silly question, but does this one have more or less calories than caramel that is made out of sugar and cream? I hope it works for you, Theresa as it's so so good! It's not sugar free if you use maple syrup. Sugar free is supposed to mean that it's safe for diabetics to eat and this is not. "No white sugar" might be more appropriate. The term is regulated by the FDA and has a very exact definition. IT WORKED!!!!!!! I think I know what I did wrong the first two times...I used a pan instead of a saucepan....Maybe that was my mistace! Ooooh I am so happy right now! It really tastes sooo good! (I used the reduced fat version) THANK YOU Kristy! Now I want to have my own veggie patch! I might have to look at The Reject Shop this weekend!! We loveeeeeeeee our veggie patch - I'd definitely recommend starting your own! I just tried it but forgot the salt until after it was in jar and just stirred it in and it was yummy. Very mild flavor and creamy. I used Thai coconut milk. We don't have a lot of choices of brands here. yay! I'm so glad you loved it, Sherry! Made a double batch in the microwave. Took about 21 minutes, stirirng after each 3 minutes. Turned out great. Had a can of coconut milk in the cupboard for some time, not knowing what to do with it. Thanks for the great recipe. I'm so glad to hear you loved the caramel - and I am glad to hear it worked in the microwave too! My second attempt. Needing to make totally sugar free. Maple syrup is wonderful but to many carbs for a diabetic. Used sugar free syrup instead. After cooking it began to separate as others have posted. After slightly cooling, put in my Ninja for about a minute. Nice thicker consistency than before. Might be a good tip for anyone who has a problem with it separating. Glad to hear it worked, Tyanne - and thanks for the tip! Yeah, no, this did not work for me at all. I used So Delicious Original Culinary coconut milk and it didn't darken and thickened into, like, a butter. Never really got liquidy. Doesn't taste all that much like caramel either, but it's still kinda good. Hey there, I'm sorry to hear this didn't work for you! I have no idea what the So Delicious Coconut Milk is like so I'm not 100% sure what went wrong. What kind of saucepan did you use? if you are using coconut milk made for drinking, that might be the issue. Hey Jeresh, yes you're right - that's why it says canned coconut milk in the recipe. Maple syrup is at least 68% sugar. It just happens to come from sap from the maple tree ragas is concentrated by boiling. This recipe is NOT free from sugars. Also, carmelization can not happen without sugar. How exciting! You'll have to send me a picture once you're finished! I made this for a diabetic friend using lite syrup. Used a touch more vanilla and added artificial sweetener. It takes a long time to caramelize and reduces significantly. I'm sure she will love it. I'm so glad to hear the recipe worked for you and I hope your friend enjoys it! The reason it would have taken so long to caramel is due to the lack of sugar (as sugar is what allows things to caramelise) but luckily the natural sugars in the coconut milk still allow you to achieve a caramel result! But Stevie is a natural sweetener, isn't it? Unfortunately I always get a nasty headache with maple syrup (the organic 100% kind). Do toy think this could work with honey? Made these tonight but had to add a little almond milk to thin out the batter. Soooo good! I added raspberries as my mix in. What's the secret to having them not stick to the griddle though? They were ugly pancakes but made up for in taste. Hey Cassie, did you grease your pan at all? Usually before we start cooking we rub the pan with butter (just put a little butter/oil on some paper towel and carefully rub it across), however, we also have really good non-stick crepe pans which we use. Just made these for the first time this morning. My 8 year old daughter said if these pancakes were a person, she would ask them out on a date! And she is the picky eater of the house. I used coconut oil to grease the pan and it worked nicely, giving the pancakes a little crisp on the outside and still so fluffy on the inside. Thank you for the recipe!